Explore ideas with this small and simple tileset. 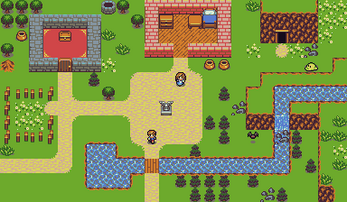 Made as an exercise to see just how few tiles you'd really need to make a complete classic japanese style RPG, then expanded slightly because it was fun to make. 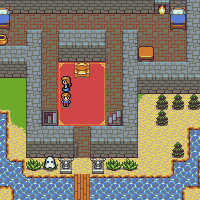 It uses Dawnbringer's 16 color palette, making the tiles easier to tweak, recolor, or make additions for. 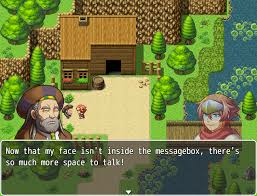 Tiles include an upscaled version setup for use in RPG Maker VX Ace. This is licensed CC-BY-3.0 with the anti-DRM clause waived. Please credit me as Lanea Zimmerman. 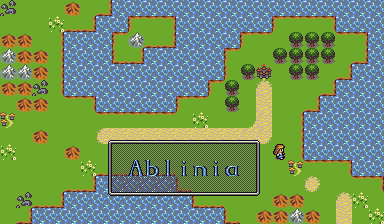 Also I up-scaled the tiles and everything to work with RMMV. Yep! That's the nice thing about starting with 16x16 tiles. MV has such a strange and annoying tile size. . . .
Can someone make animal sprites? Can you be more specific? I mean, I'm not promising anything, but it's hard for someone to make what you want if no one knows what exactly you want. You see how to trees take up more than one tile on the map? I see what you mean by the larger objects. 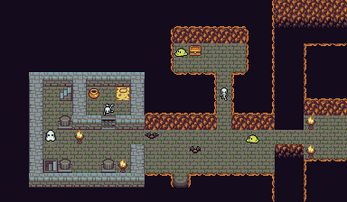 Keeping everything to one tile was done on purpose for the style, so I won't personally be adding anything like that. As for animals, there are over one million species of animals in the world, you really need to narrow it down. If you're wanting a cow for your farm and someone makes a squirrel or a kangaroo, that's not going to be very helpful, you know? What is the license on these (aka are they free to use in a commercial game?) Thanks in advance. Oh! Did I forget to include a licensing document? Oops! CC-BY-3.0 with the anti-DRM clause waived. Basically, go right ahead and use in a commercial game, I just like to be credited. Hi, this tileset looks awesome! I use RPG Maker to make maps for D&D streams on twitch. I was wondering if usage covers that or if you'd prefer if the tiles are only used for games directly? Thanks! As long as I'm credited in some way I am happy. Stream away! Nice. Kinda reminds me of Ys. Oh? Which version? 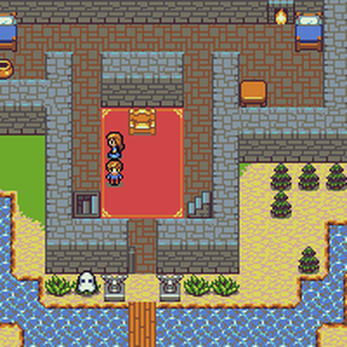 I usually have people telling me it looks like the early Dragon Quest games.